If you like the railroad then this will be the perfect opportunity for you. You will go back in time to 1900s and experience the joy of riding on a train from that period. You will get to see beautiful nature and experience a wild West shootout as well. This was a very exciting time in American history and you will get a taste of it while being able to see you too for nature. 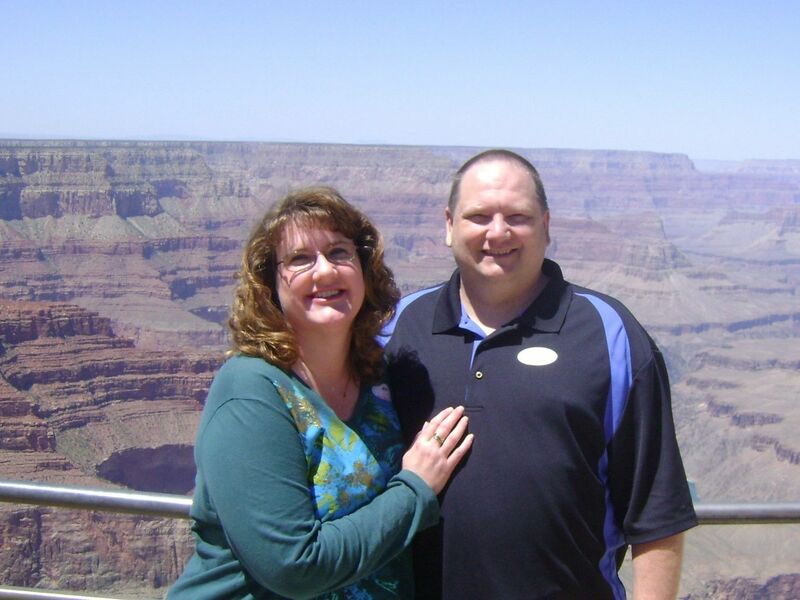 This will be one of the most entertaining adventures you ever go on and it will be a tremendous opportunity for you to experience the Grand Canyon area. You will start by getting to the Williams depot which is one of the oldest train stations in the country. After your entertained by a fun and exciting wild west shootout, which is located in the outdoor theater you will be able to enjoy a hearty buffet breakfast before getting to the grand Depot Café next to the depot. After that, it is time to depart on the train which is your chance to ride on the old iron horse. You will have friendly attendants who will help you with anything. On the train, you will get to have sing-alongs with musicians and experience an old who West train robbery. This is an exciting time and you will enjoy history by leaving it in sit of reading. After all of this, the train will arrive at the Grand Canyon depot which is the only remaining loud depot in the country. 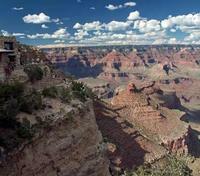 You will enjoy a narrated tour of the Grand Canyon National Park which will make your time even better. Not only will you have fun be immersed in history but you will see beautiful sights and learn a lot. The excitement begins at the historic 1908 Williams Depot. Before the train departs you will be entertained by a Wild West shootout featuring the Cataract Creek Gang in an outdoor theater. Shop in one of two gift shops, or enjoy a hearty buffet breakfast (not included) before departure at the Grand Depot Cafe next to the depot. Then, hear the train whistle pierce the fresh morning air, beckoning passengers for a trip on the old iron horse to the Grand Canyon. Uniformed coach attendants provide you with white-gloved courtesy and service. Aboard the train, enjoy the tunes of strolling musicians who conduct sing-a-longs, an Old West train robbery, and the antics of western characters as they recreate train travel as it was back in 1901. The train arrives at the historic 1910 Grand Canyon Depot, the only remaining log depot still in operation in the United States. Buildings like the El Tovar Hotel, Hopi House and Bright Angel Lodge salute arriving guests as you pull into the station and disembark from the train. 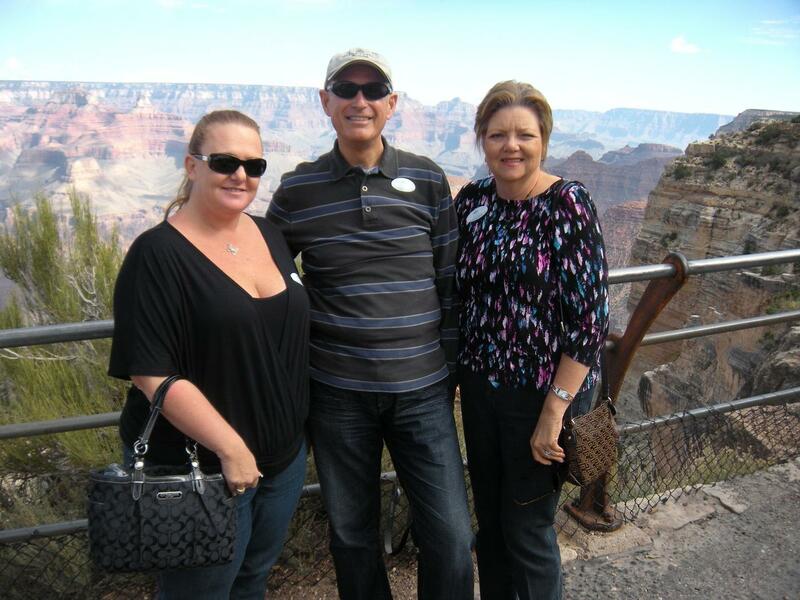 A narrated motorcoach rim tour of the Grand Canyon National Park enhances your visit by escorting you to the most scenic overlooks of the canyon. Upgrade to include a hot buffet lunch! Coach Class - Budd Coach, named after famous Budd Manufacturing Company, are streamline era coaches built in the 1950's and are air-conditioned and heated in the cooler months. Soft drinks and bottled water are available for purchase on board. First Class - Enjoy the opulence of oversized, reclining seats with extra-large viewing windows and at-seat cocktail service (no host bar) aboard First Class. Cars are air-conditioned and you can help yourself to complimentary morning refreshments of fresh fruits, pastries, juices, teas and coffee. Enjoy snacks from the buffet on the afternoon trip. Please note: adult prices include a USD15 National Park Fee. Departure Times: Train departs Williams Depot at 9:30am; the Wild West Show starts 30 minutes prior to train departure time. Please note: Arizona does not observe Day Light Savings and switches between MST (Mountain Standard Time) and PST (Pacific Standard Time) depending on the season. The train can accommodate a motorized scooter if it is no wider than 25 inches. There is a special lift to lift the scooter onto the train. Please note: Arizona doesn't observe Day Light Savings and switches between MST (Mountain Standard Time) and PST (Pacific Standard Time) depending on the season. 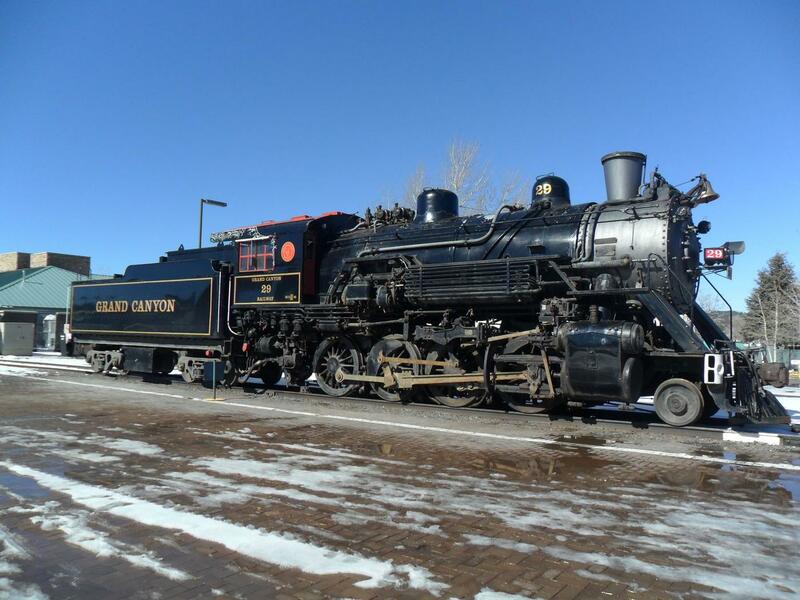 Coach class rail trip with 1.5-hour tour; includes USD15 National Park Service fee. First class rail trip with 1.5-hour tour; includes USD15 National Park Service fee. Coach class rail trip with 1.5-hour tour and buffet lunch; includes USD15 National Park Service fee. First class rail trip with 1.5-hour tour and buffet lunch; includes USD15 National Park Service fee. Coach class rail trip; includes National Park Service fee. First class rail trip; includes National Park Service fee.